You can get details on the MarsAtlas page. A version also including subcortical structures is also presented in the MarsAtlas + subcortical page. 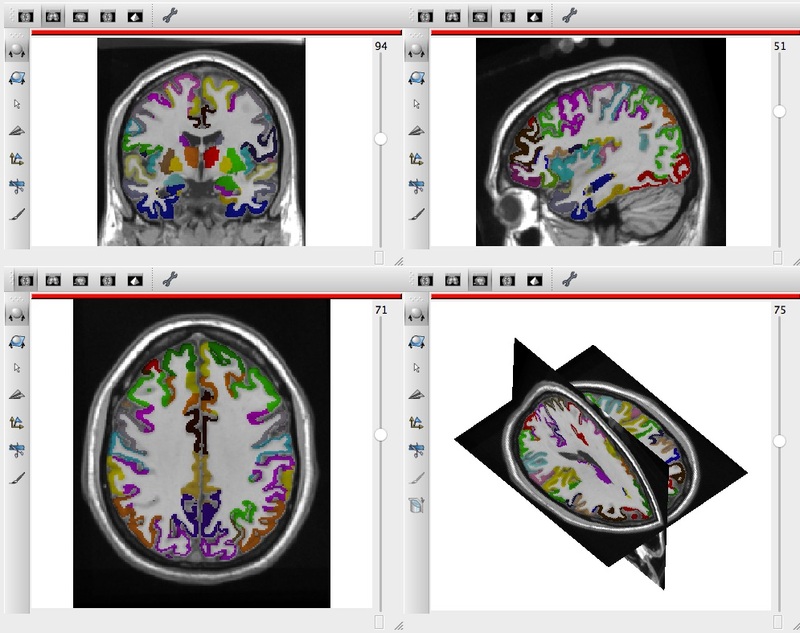 For researchers who want to have directly access to a version of MarsAtlas in the MNI space on a reference subject (for instance to use with SPM or FSL), we present here a parcellation of the Colin27 average brain in the MNI space. The parcellation and the procedure used to build it are given below. colin27_MNI.nii : This is the nifti version of the original 1x1x1mm^3 Colin27 average brain (1998). This file has been downloaded from the Montreal Neurological Institute BIC Atlases page. A full description and the file itself can be found directly on their Colin 27 Average Brain 1998 page. colin27_MNI_MarsAtlas.nii : The parcellation itself, with cortical and subcortical structures, in the same space and same resolution than the original colin27 average brain. The parcellation was obtained following the procedure described on this page applied onto the original Colin 27 Average Brain file. The labels for all cortical regions can be found on the MarsAtlas page. The labels for all subcortical regions can be found on the MarsAtlas + subcortical page. The procedure to visualize it properly is described on the MarsAtlas + subcortical page.